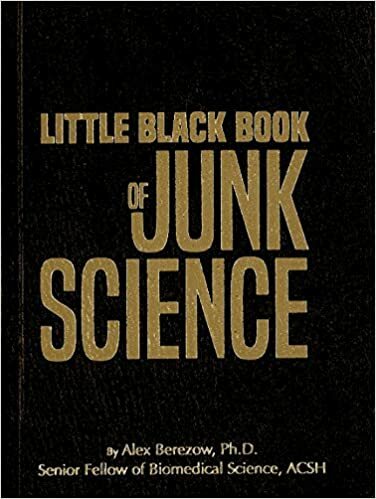 Fifty years ago, he published arguably the worst book ever written, The Population Bomb, which declared that human overpopulation would cause mass starvation. Instead, the Green Revolution (led in part by ACSH co-founder Norman Borlaug) caused global food production to explode, and the world population more than doubled from 3.5 billion in 1968 to 7.6 billion today. 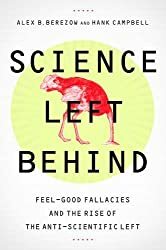 The reason The Population Bomb was so terrible is not because its predictions were wrong; most scientists make incorrect predictions. No, the book is terrible because of how it made people in the developed world feel about people in the developing world. A short anecdote, which I described for Forbes, illustrates my point. Several years ago, I gave a talk in Seattle about the benefits of GMOs. One person in the audience expressed concern that GMOs were simply helping to "feed the monster" -- that is, the "monster" known as hungry people in poor parts of the world. Though she didn't verbalize it, her words were clear: The world would be better off if poor people (mostly brown and black, I might add) in distant lands weren't given any food. Starve the monster. This appalling attitude is surprisingly common in allegedly compassionate cities like Seattle. And the book that gives this openly misanthropic, vaguely genocidal belief a veneer of academic credibility is The Population Bomb. 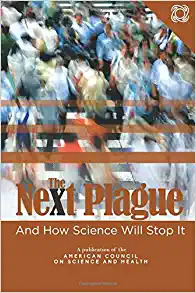 The world's optimum population is less than two billion people – 5.6 billion fewer than on the planet today, he argues, and there is an increasing toxification of the entire planet by synthetic chemicals that may be more dangerous to people and wildlife than climate change. Ehrlich also says an unprecedented redistribution of wealth is needed to end the over-consumption of resources, but "the rich who now run the global system – that hold the annual 'world destroyer' meetings in Davos – are unlikely to let it happen". Let's debunk this, line by line. There is no optimum human population. Dr. Ehrlich pulled the "less than two billion" figure out of thin air. Besides, demographers predict that the population will peak and begin to shrink, probably sometime in the 2100's. The reason is because people tend to have fewer children as they become wealthier. That fact exposes his "cancer cell" analogy as entirely bogus. Humans don't behave like cancer cells. Dr. Ehrlich's concern over "synthetic chemicals" is simply based on ignorance of chemistry and biochemistry. It doesn't matter if a chemical is "natural" or "synthetic." From a toxicological perspective, the only thing that matters is the dose and how an organism's metabolism handles it. Chemists can make pretty much anything they want in the laboratory, so there is little practical distinction between natural and synthetic chemicals. There is neither anything magical about the former nor evil about the latter. Dr. Ehrlich's screed against the cabal of rich people who run "world destroyer" meetings in Davos is so utterly conspiratorial and unhinged, that it makes me wonder if he believes the Illuminati helped fake the moon landing. To this day, Dr. Ehrlich stands by his book. Though his timing was off, he claims the book is correct. What explains his lack of repentance in the face of overwhelming evidence to the contrary? Dr. Ehrlich is an ideologue. His predictions are less like the careful analysis of a serious scientist and more like the wish list of a misanthrope. Apparently, wisdom and grace don't always grow with age.